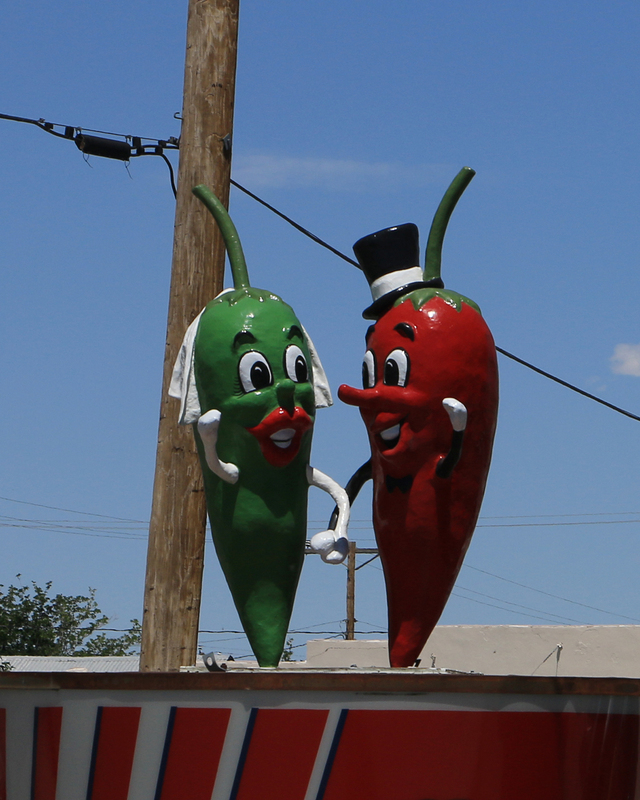 On the road from Albuquerque, heading to Tucson, we did an afternoon pit-stop in a village that grows legendary green chiles: Hatch, New Mexico. 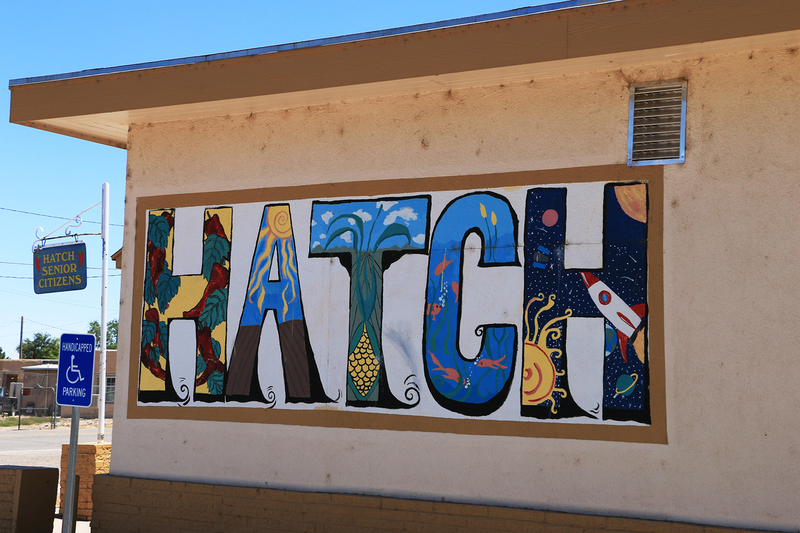 Before moving to New Mexcio, we knew of Hatch. In early Octobers, Wegmans Food Markets, would orchestrate produce events at the Pittsford, NY flagship store when green chiles were delivered to town. For a week or two, my husband would relive his dietary memories from having lived and worked in Los Alamos, NM. 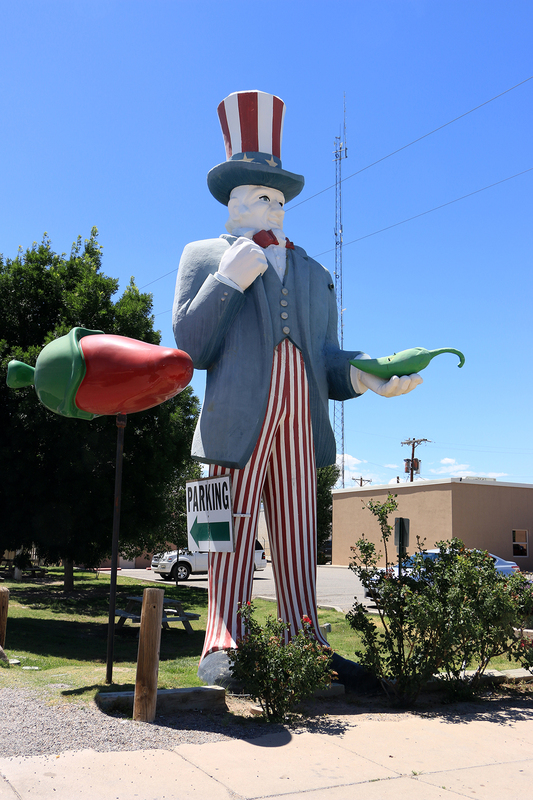 He would get me to prepare standard meals with Big Jims, the largest variety of hatch green chile grown in the US. Chopped Big Jims make a flavorful medium heat for burgers, mac’n cheese, or stews. I’ve read that one fresh medium-sized green chile has as much vitamin C as six oranges. Driving through town, it was obvious to us where to stop. The attention grabbing kitsch on both sides of the road was all we needed. Or so we thought. In New Mexico, when asked whether you want ‘red’ or ‘green’, it’s about chile sauce on your meal. Replying with “Christmas” gives you a bit of both.